You are browsing the archive for Hackme/crackme. 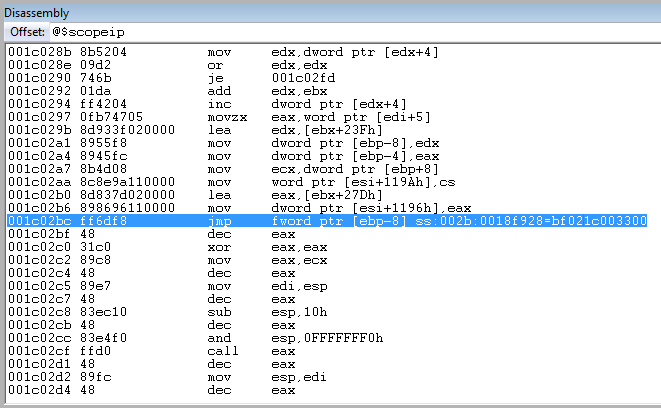 A so-called heaven’s gate is not only a built-in feature of a 64-bit Windows, but also a neat reversing trick. It can be used (and is) by malware authors to temporarily switch the code execution between 32- (WOW64) and 64-bit long mode. 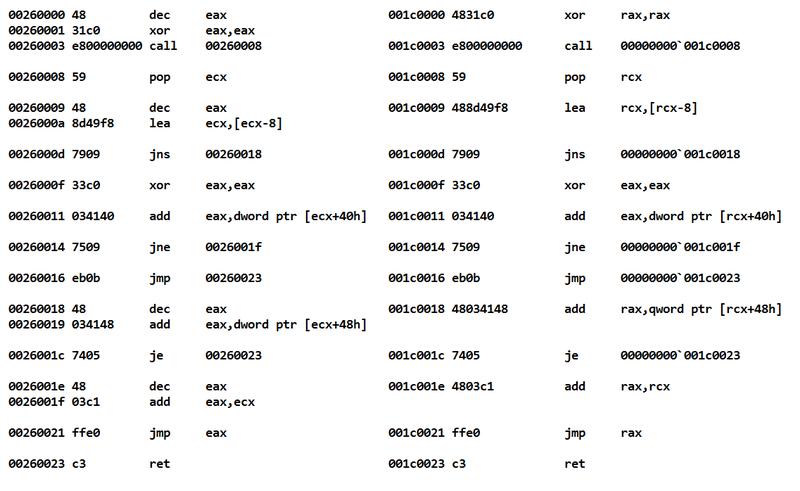 While operating in a 64-bit long mode it executes the 64-bit instructions and this can be used to execute some funny stuff before returning to 32-bit code (f.ex. can be used to detect a debugger). 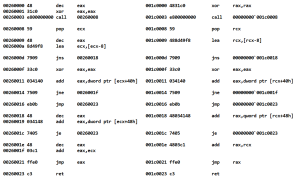 The trick is very old, many blogs describe how to mix 32- and 64-bit using it and that’s why it is just part of the topic I am going to talk about today. A few years back I was looking at a sample that used the heaven’s gate trick, but apart from this, it also contained another trick – a chameleon code – a stream of bytes that could be executed as both 32- and 64-bit code, depending on the context. I found it to be quite cool and took a mental note of that malware family. I recently came across a different sample from the same family and since this reminded me about that supercool trick, I thought it would be nice to write a post about it. 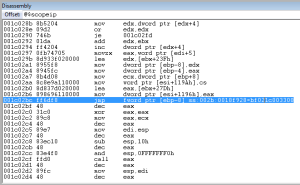 The sample hash is E4AB5596CB8FBE932670A6A5420E7AB9 (note it is old, from 2013). Note: Mind you that before it reaches the heaven’s gate/chameleon code it will try to stop you by using a couple of known and lesser-known anti-reversing tricks (there is a number of them, and they are quite creative; I won’t describe it in detail not to spoil the fun in case you want to take a stab at the sample yourself). Immediately after the far jump we land in 64-bit code. Note the offsets of instructions on both screenshots. Btw. while I am not the biggest fan of windbg for day to day work, its ability to reverse such chameleon code comes really handy. They both execute in their respective modes (32- and 64). The inability to distinguish between code and data is a well known fact. Ability to code a program that looks identically and executes on two different architectures is a completely different animal. For what it’s worth – it was written in fasm. As a kid I loved to solve cross-words, I also published my own (together with various riddles). and anything that would be a bit unusual (e.g. 7-letter words with 4 As, partially overlapping words, etc.). When I learned programming I wrote various cross-word generators including one for magic squares. Finding magic squares is very easy for 3-, 4-, 5- letters. It gets a bit more challenging with 6-, but it’s still quite easy and it gets really tough with 7-, 8-, 9- letters. Having nothing else to do, today I tried to see how my old code would perform taking a small database of malware-related keywords as a base. To my surprise, it actually found a few magic squares for 6 characters! If you google these words, you will find out that all of them are actual names of a malware.